I recently had a big problem with fungus…on my camera’s lens! I live in Taipei, Taiwan and to describe the climate as being “humid” doesn’t even begin to do it justice. We have 2 month periods where it doesn’t stop raining…ever. The walls sweat for days and days on end. What’s truly startling about that fact is that the locals don’t really drink that much!!! 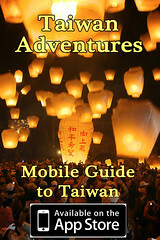 But I suppose the cultural differences between Taiwanese people and westerners is best left for another blog. I started to notice that my Nikon 17-55mm F/2.8 AF-S lens was slowly starting to loose it’s sharpness. I noticed that when shooting at its widest setting, it was almost always soft. Then in bright daylight, I started to get very noticeable loss of sharpness. See how the center is blurry and has a bit of fuzziness? Not good for a $1,400 lens. 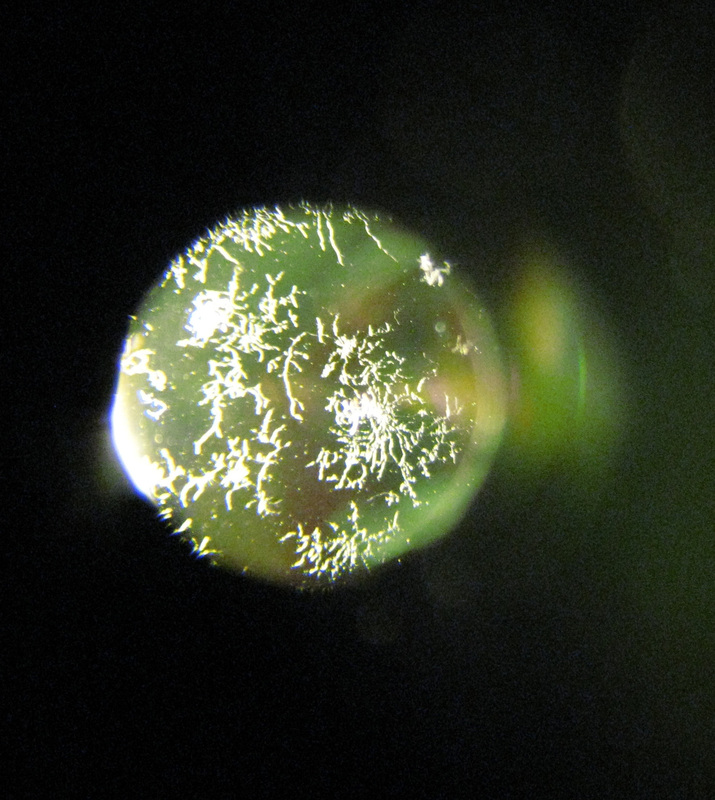 This is the fungus, growing on two of the inside elements of my lens. If you want to check your lenses, simply take the lens off you camera, hold the aperture open with your finger and put you eye right up to the back of it. It helps if you point it in the general direction of a light and try to change your eyes focus around… looking through glass like this can deceive your eye. Be sure to move it around in the light and check the edges. If your infestation just started, you might only see a few “fingers” around the edges. What really scared me about this much fungus was what I read in the online articles. It said that many times, even if the fungus could be cleaned off, it might leave an etching on the lens that can’t be removed. I was scared. I started a thread on SportsShooter.com to ask for advice, and while I did get some, I was surprised at how few professional photographers knew anything about this. But the basic advice I got from everyone was to try to get it cleaned, it would certainly be a lot cheaper than replacing then lens. So I took the lens to the official Nikon service center here in Taipei. I was sure they were going to laugh at me and tell me they couldn’t clean it, but all they said was, “It’ll be ready in two weeks.” Nice. I was still holding my breath, hoping for the best but suspecting the worst. Two weeks later, I went back to collect my ABSOLUTELY PERFECT lens. Not a single speck of fungus or etching from the fungus to be seen! So, I guess I’ve learned my lesson. Or maybe I’ve learned quite a few lessons. Since I’ve been in Taiwan, I’ve known about the humidity and the the damage it does to photographic equipment. I’ve just been too lazy to go out and buy a humidity-proof cabinet. If you live in Taiwan, or any place else with high humidity, the $100USD you would need to spend on a cabinet is a damn fine investment. Go get one. and the humidity-proof cabinet is not that expensive in Taiwan, is it? How much did you pay to the Nikon servise center for the lens? my lens got very dirty now, I need to find time to go to my Pentex servise center too. It cost NTD$4,000 (US$110) to get the fungus removed. The dehumidifying cabinet cost NTD$3,000 (US$90)… and both were money well spent. Yang Tai Trading Corp. Ltd.
Hi, I also noticed one of my lenses also has fungi inside. I also live in Taipei, but since my camera is a Canon, would you happen to know were a Canon service center is in Taipei? I was given this website: http://www.rainbowphoto.com.tw/ Sorry it’s all in Chinese. Thanks Neil. I’ve heard they no longer do services and repairs there, but that they’re done at Enjoy Photo (和平西路一段20號). I’ll give that a try.